A month or so ago when I began to focus on ingredient selection, I was picturing a massive glossary of how to pick out numerous ingredients - staples, meats, produce etc. But I suspect you may not want a glossary all in one go. 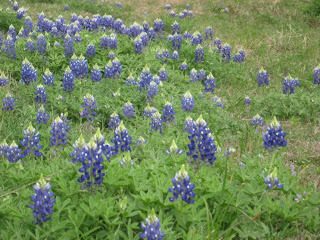 So I'll begin to shift a little from ingredients to technique, just as the seasons are shifting now around the country. After many people have a big Easter dinner, these two recipes are so simple that you might want to try them this upcoming week. I made two dishes last week, for the same meal, each of which had very, very few ingredients. So the importance of ingredient selection was underscored. Yet, the keys to make each dish incredible were very much centered on technique. The first dish was "Barely Cooked Zucchini with Almost No Vinaigrette". Technique 1: Sweating zucchinis and squashes in a colander with Kosher salt. You may have run across this technique before. It's counter-intuitive to sweat moisture OUT of a vegetable, then rinse it, but you don't want all that salt. Using very fresh squashes make cooking almost unnecessary. Technique 2: Barely, barely cooking the zucchinis. Overcooking vegetables, especially squashes and zucchinis, is a sin to me. I think the quick 60-90 second saute in olive oil helped just seal the vegetable surface with a little oil and heat. I may try this again with no cooking at all. Technique 3: Using very, very little vinaigrette. I've mentioned this before, see: Secret Weapons for Great Summer Salads. In this case adding a very tiny dose to the zucchinis was just right. 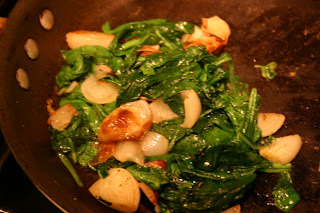 I used a cipollini onion-based vinaigrette recently published in The Frankies Spuntino Kitchen Companion and Cooking Manual, a very attractively produced book about Italian-American home cooking. I don't want to copy their recipe here, so buy the book. It's got a few gems you'll enjoy, and is fun to read. You can find the zucchini recipe and one for a subtle vinaigrette in separate posts. The other dish was Sausage with Sage Brown Butter, another offering from The Frankies. Again, I'll not recreate their recipe. However, the key technique was to par-boil good Italian sausages, allow them to cool slightly, then cut them into coins. 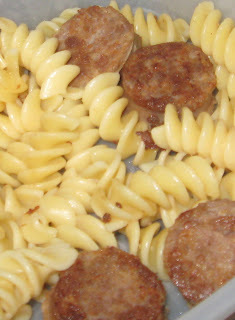 Saute these sausage coins in a large wide pan, undisturbed, to create a lot of browning. That's the best part of sausage, isn't it? Their technique maximized the crusty parts. Awesome. whether it's sage brown butter sauce, simple tomato sauce, or anything else, this technique is a valuable and simple one to have at your disposal. For more on Italian ingredient selection, including sausage, see "How to Survive Without An Italian Deli". All the authentic hot Italian sausages with sage were long gone by the time I pulled out the camera. A parallel batch of this dish was made with Italian-style turkey sausages, a fairly inexpensive, fairly healthy product even the picky kids in my house like. The Frankies technique added a good amount of extra flavor to the slightly bland (which is why they like them) turkey sausages. There's no way my son would eat sage brown butter, so he got just butter, as depicted. This is a unique combination of technique and a light hand on ingredients. Sweating the zucchinis with salt makes cooking almost unnecessary. Of all places you'd never expect, I learned this technique from a master chef who specializes in the cuisine of southwest China. 1. 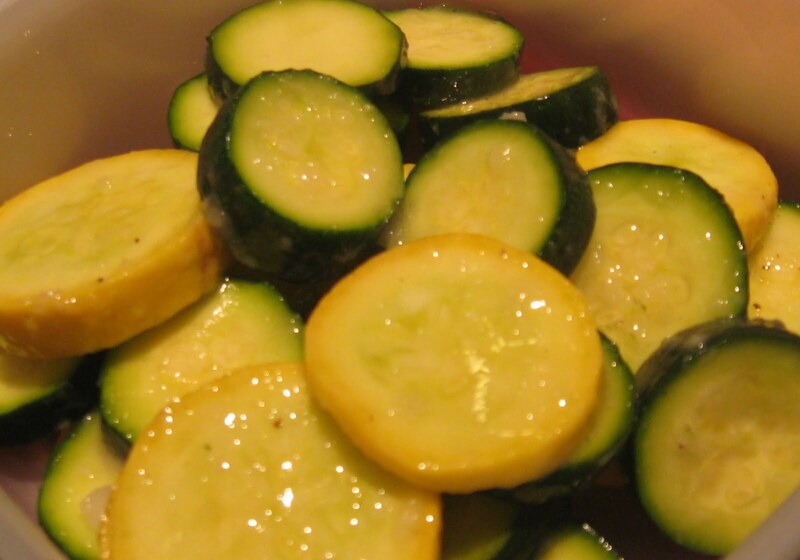 Slice zucchini and squash into ¼” rounds. Place in a colander and sprinkle with 2 tablespoons kosher salt. Mix to combine. Let drain for 15 minutes. Rinse with cold water and shake to drain. 2. Heat olive oil in a large skillet over high heat. Add the drained zucchinis and cook for 60 to 90 seconds, shaking the pan a few times to release the slices. 3. Transfer zucchinis to a bowl and toss with no more than 2 tablespoons vinaigrette. Add additional fresh ground pepper if desired. I buy a terrific brand of rice wine vinegar from Pearl River Bridge (their Soy Sauces are also very good). Terrific value and available at almost any Asian market. Sherry vinegar is a little trickier to source. I've never seen a decent anywhere but specialty markets. Here are a couple I've used with success brand from Paez Morilla, Jose Paez Lobato and L'Estournell. I avoid Don Bruno (actually from mass producer Roland), and Columela, though these might be found in mainstream groceries. 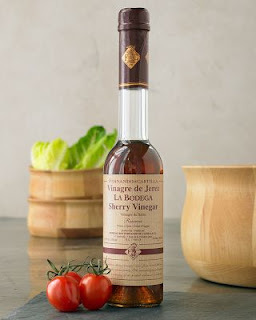 Search Amazon.com for sherry vinegar. vOne I don't think I'll try is La Bodega, individually numbered, only 4,000 bottle made per year, at $45 for 6.8 ounces at Williams Sonoma. After discussing expiration dates and food storage in my last article, poultry quickly comes to mind. Indeed, poultry does mandate safe handling and should be cooked quickly after purchase. One of the easiest ways to cooked chicken is to roast a whole bird. I've roasted quite a few chickens in the past month, because there are good prices lately (under $1 / pound) and my recent enthusiasm regarding a technique published by Thomas Keller in his book Ad Hoc At Home (of which he personally signed for me, thanks TK). Concepts that make it work (and be easy): Whole chicken is placed over a bed of vegetables. Dot with a good amount of butter before cooking. Start with high heat then lower (which we already know to do from cooking turkeys). Let rest for 20 minutes after cooking. Keller does into more detail in the book, but I'll share below a simplified version of this technique. The main thing is the temperature to use. Vary the vegetable choices as you wish. Truss the chicken with kitchen twine. If you don't know how to do this, simply use a piece of kitchen string to tie the two drumstick/legs to each other tightly. Place chicken atop the vegetables, breast side up. 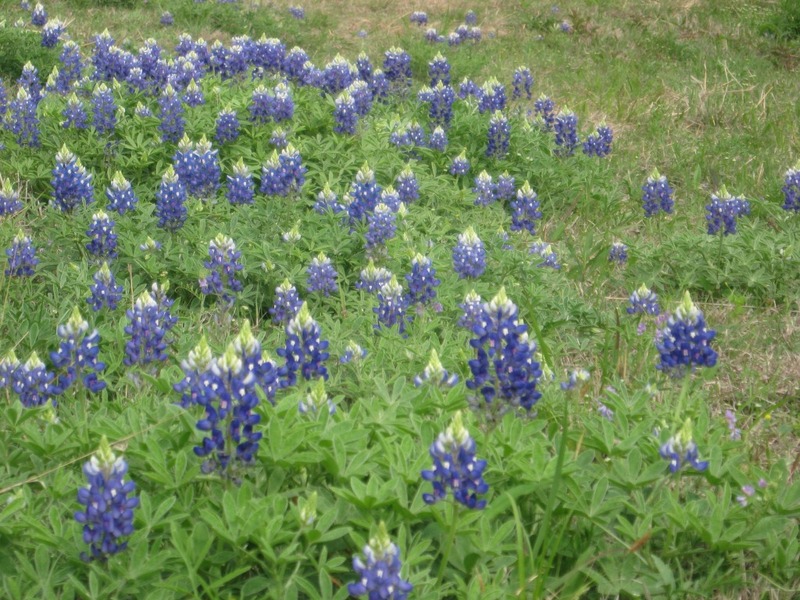 Season liberally with salt and pepper. 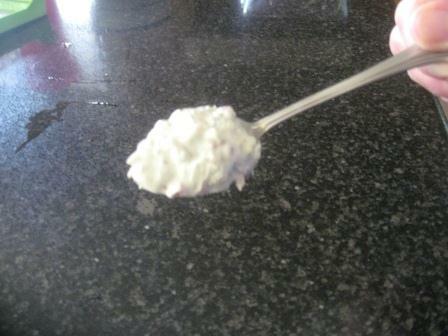 Add 2-3 tablespoons butter on top, near legs and along breast. Cook at 475 for 25 minutes, then lower heat to 400 degrees and cook for 45 minutes, or until an instant read thermometer shows 160 degrees near the thigh joint. Remove and let sit for 20 minutes and serve. We've all done it. Grabbed something from the fridge and wondered if it was still OK to eat. Before you read further, pause and think about how you treat expiration dates, then see if you agree / disagree / learn something new from the rest of this article. I'm close to the "obsess" group. I eat all manner of exotic foods, including street foods in Asia, bizarre ingredients found in ethnic markets and some of the more obscure ingredients in the grocery store. However, one poorly stored or handled hamburger, or a serving of chicken from a chafing dish at a catered event can send me (and not necessarily others) running to find a bathroom. I'm a canary in the coal mine for food-borne bacteria. Use By? Sell By? Best By? First thing you should know is that the only federal law requiring expiration labeling applies to infant formula and some baby foods. The rest of the labeling is voluntary. It's primary purpose is, no surprise, for retailers and manufacturers to manage their stock, not necessarily to protect us. I could say they also manage their reputation with the dating, to be more fair to them. But again, the dating is voluntary at all levels. You're at your own risk. There are all kinds dates out there: "Display Until", "Best if used by", "Sell By", "Best Before". In general, all these dates refer to the quality of the item, not hard and fast food safety regulations. Some products include a date of manufacture, which may be embedded in a coded string of numbers and letters, but usually isn't too hard to figure out. I know I've bought meat near the "sell by" date, with good intention of using it right away, but didn't. That's not necessarily bad. If the meat is stored properly, looks and smells good, it might be good (see the table below for guidance). On the other hand, I've bought meats that are well before their "sell by" and opened them to find a disgusting color and smell on the underside - truly unsafe food. And because the labeling programs are voluntary, there's nothing to keep a meat counter at a grocery from abusing the so-called system. Aggressively be willing to return products, request refunds or replacements. But I'm still unsure how long I should keep products after I buy them but before I use or freeze them. (Remember that freezing will negatively affect quality of almost all products and gets worse with longer freezing times). 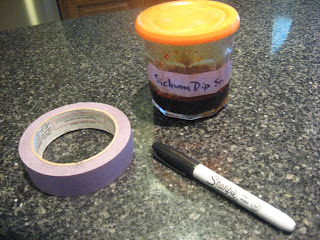 One tip - have a Sharpie and blue masking tape in the kitchen to label storage containers or opened items. Write the date you opened on a strip of tape, or on the container. You can more confidently assess the product down the road if you do this. Purchase product before the date expires. Source: WebMd. Used with permission. When supermarkets first created prepared deli trays of vegetables and dip, shrink wrapped and shipped in from a central prep factory, I was a little surprised. I know some of you were not born when this started and deli trays, say from a REAL deli, are nothing new. Convenience? Yes. Expensive? Yes. Are the veggies fresh? Probably - at least fresh enough to stomach. Of course, you'd never find me suggesting such a shortcut. It just doesn't take that long to rinse, peel and chop a few veggies. It's also very easy to make a quick dip. I'll add a recipe for you. But what really, really gets me going are products such as jarred, diced garlic. Or prechopped onion. Plastic tubs of mixed onion, celery, carrot. Pre-shredded cabbage or slaw mix. 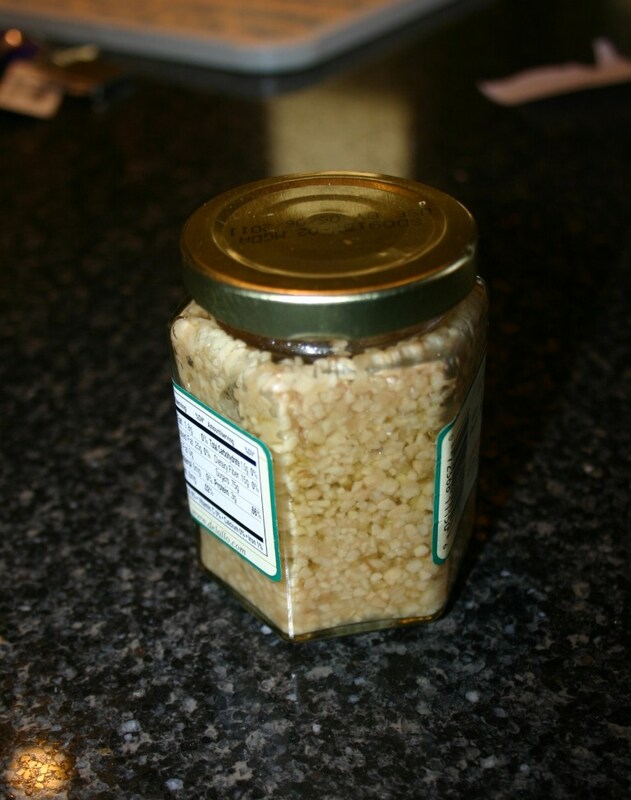 I bought a jar of pre-chopped garlic a year and a half ago, when I was making some Cooking Light recipes verbatim from the magazine (as a test). Last month I pulled the jar out the fridge - a year and and half old - and the product in the jar open 18 months ago - looked the exact same as when I first opened it. Try that with a few garlic cloves and olive oil. Not gonna work. Do you think there are some preservatives in that jarred goo? As they say way up north, "You Betcha'". 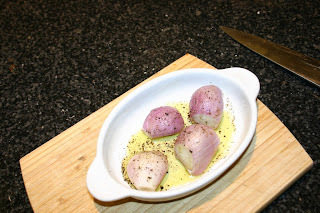 Chopping garlic on your own is about as simple as can be......once you decide to use a chef's knife in the process. I used to neatly trim the root end off a garlic clove, then peel off the skins, taking two or three steps in some cases to peel one clove. This resulted in perfectly peeled cloves. Which 90% of the time I diced up into tiny pieces. I used to believe that this controlled the amount of liquid released from the garlic, as opposed to the smash and peel method. Now I don't. To smash and peel, break a clove off the head, place your chef's knife over it sideways - parallel to the cutting board - and smash down on the side of the knife with your fist. Or you can press firmly until the skin cracks. The skin will break away with almost no resistance at all. I then sometimes trim the root end, depending what the garlic will be used for. This method is about a 90% time saver. If you are using multiple cloves, smash them all at once, then remove the skins. Tip for working with garlic. If you are smashing and peeling a large number of garlic cloves (say 6 or more), your fingers and hands will get a little sticky and the skins will begin to cling to you. A very quick rinse of water will eliminate the stickiness easily as you continue with additional cloves. One last garlic comment. Generally, the more closely the peel sticks to a clove of garlic the fresher it is. Old garlic peels easily. This is a simple dish with essentially three ingredients. Goes great with a good steak. Try herb-marinated or porcini coated. 4 to 6 shallots, peeled (number depends on size. If golf-ball sized, use 4). --- Toss shallots in olive oil and liberal kosher salt and pepper. --- Heat olive oil and garlic over medium high heat in a large skillet. --- Add spinach and toss gently until it changes to dark green color. --- Remove from heat, season with salt and pepper. Serve immediately. 1 tablespoon dried dill (I wish I could grow fresh dill in my herb garden - it doesn't seem to be able to handle the Texas heat). Make this dip a day in advance to let flavors develop.